The Garay Group as it is today, reflects a history of enthusiasm, effort, and great dedication to offer an adequate response to each client. 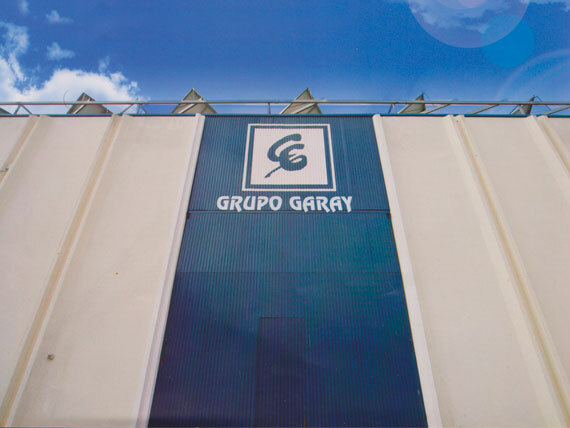 Created in 1985, the entrepreneurial vision of the Garay family, the group strategically diversifies distinct activities and areas of business, until converting them into an absolute reference in the distribution of a wide range of products. We currently have a team of more than 70 people and a sales area and warehouse of more than 30,000 square meters, divided into 4 establishments, located between Castilla-La Mancha and Murcia. Our team takes on each commitment in a professional manner, especially our sales people who visit and advise the clients, in order to optimize their resources. We are committed to new products, which our suppliers always have on hand. We believe that continuous training of our employees enables us to become increasingly competitive, fostering new opportunities in our team. Our logistical services carry out transport in an efficient way, creating a chain from the issuer to the recipient. More than 30 years of experience guarantee our diversification of services. We continue to improve relationships with our clients, giving them more confidence, more advice, and better guarantees, to meet their requirements.